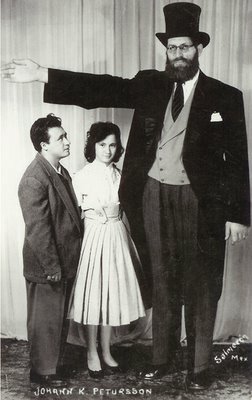 The Icelandic Giant Jóhann Kristinn Pétursson (Jóhann Svarfdælingur) aka 'The Viking Giant' (Starred as Guadi the Giant in Prehistoric Women 1950). Note: As I told you here 'Prehistoric Women' can be downloaded from the Internet Archive. André Popp "Le coeur en fête"
AC/DC Live at Nyckelhålet, Höllviken 1976! The Country Girl fight close to an end. Cookie Monsters of death-metal music.